Pixar, probably the world’s most famous and influential animated film studio of the moment, has long had a tradition of screening short films before the main feature. Last night Comrade Love went some way to emulating them; firstly, by ripping off their animated logo and secondly, by showing not one but 4 animated short films before the main feature, which was … a slightly longer animated short film. We went back to basics on the refreshments front, enjoying hotdogs and popcorn, although it was popcorn with a twist! Bags of popcorn with mystery flavours, sweet and savoury, were passed out for us all to try like a selection of Bertie Bott’s Every Flavour Beans. Luckily for us there was no earwax flavour but there was a nasty surprise of a flavour lurking that certainly wasn’t strawberry! Special mention should go to Sam, Helen and Matt, who did a sterling job of blocking out the long-awaited sunshine with tin foil and tape. First up was a dark yet joyous CGI tribute to Muppets creator Jim Henson, in which hundreds of Kermit the Frog-like puppets reacted to the death of their creator. The film was the brainchild of French animator Damien Ferrie. Ferrie was also responsible for the official video for Royksöpp’s song ‘Beautiful Day Without You’. 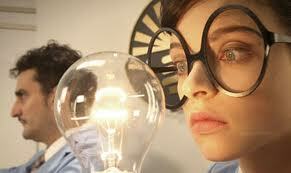 The second offering was Argentinean Juan Pablo Zaramella’s delightful, quirky romance (with light bulbs!). 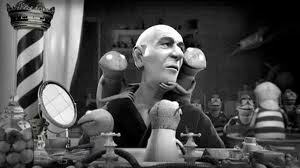 This stop motion animation film has won over 200 international awards, which I hope are ample compensation for the 2 years spent chasing shadows down the street. This film also reinforced Susan’s mantra that ‘Maths is everywhere’. 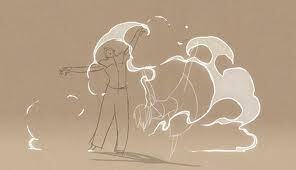 Film number three, and another style of animation – 2D drawings of real life dance. This tender and lyrical piece belied the fact that animator Ryan Woodward has worked on many big budget Hollywood comic book adaptations such as Avengers Assemble, Iron Man 2 and several Spider-Man films. A ‘making of’ video which is longer than the film itself (!) is available on Woodward’s website for those of you who would like to know more. This Australian production from Christopher Kezelos is a meditation on life and (pro)creation. 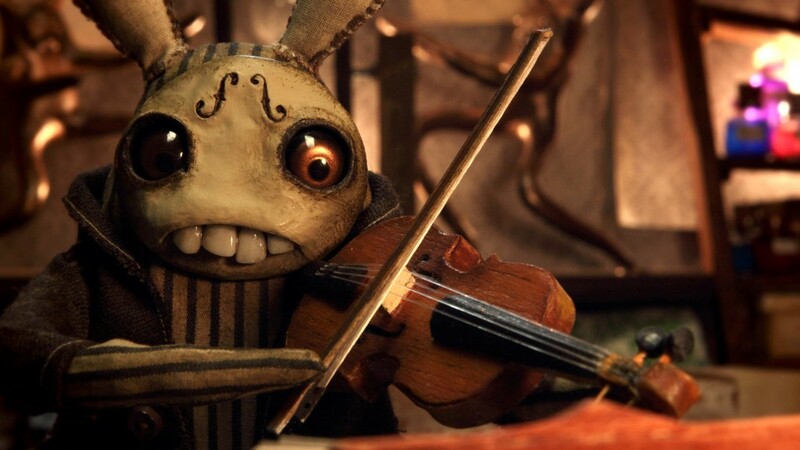 The film was inspired by the music of Australian composer Paul Halley, and follows a rabbit-like creature as it makes ‘the most important and beautiful creature of his life’. Some indistinct text written on a chalk board during the film (2min 23 secs) is apparently a quote from Buddha which says “What we are today comes from our thoughts of yesterday and our present thoughts build our life of tomorrow.” Is it a clue? A lesson? A hint at the meaning of life? The same production unit have also produced a film called Zero, which provides a great lesson in tolerance, and also reinforces the fact that maths is everywhere. 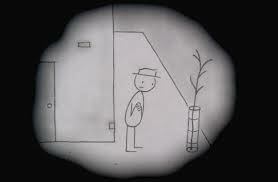 The longest of the evening’s shorts was actually a compilation of 3 previous short films animated by Don Hertzfeldt – Everything Will Be Okay, I’m So Proud of You and It’s Such a Beautiful Day. The three films feature Bill, a stick man with serious brain and mental health issues. Hertzfeldt is a extremely skilled at wringing the maximum emotion out of few pencil lines, and also injects deadpan black humour into some very difficult situations. Hertzfeldt’s website offers an insight into the kind of man he is, his thoughts and motivations, and why he will never do adverts. So what did we learn from our foray into the world of animated shorts? That you can see a new, high quality short every week here. That Vimeo is a good source of animated short films. Everyone has an short film past, but particularly Di ‘Little Bo Poop’ Smith. There are lots of awards to be won for animated films, probably due to the sheer volume of animation film festivals in the world. Size/length isn’t everything. Music, however, is very important.